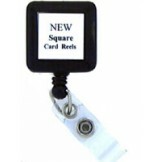 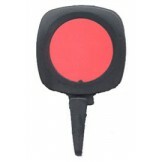 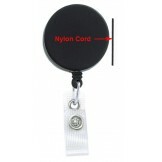 APBIBALIII-Square Badge Reel w/30" cord-10 pack Available Only in Black ..
Converts almost any round badge reel into a Carabiner Badge Reel Just snap the attachment into plac..
Carabiner Style Solid Color Badge Reel 10-pack 36" cord "Twist Free" feature helps keep cards facin..
Carabiner Style Badge Reel with Belt Clip 10-pack 1-3/8" w x 2-1/4" h Cord length is 35" Has Belt.. 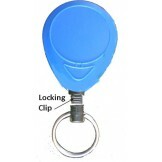 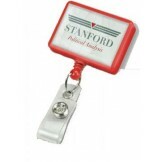 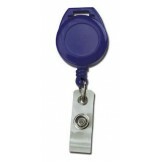 Solid Color Carabiner Badge Reel with Belt Clip NPS Belt Clip on Back Reel Diameter 1-1/4" (32mm) ..
Customize our new rectangle badge reels with a larger dome label for your company name or logo to st..
Price is for 10 reels Price Per reel $2.29 Minimum quantity 10 per color .. 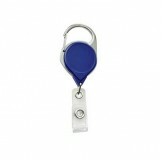 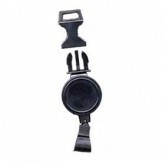 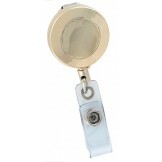 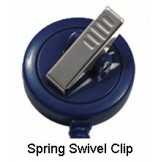 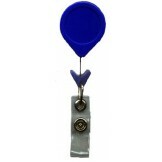 Round badge reel, w/ clear vinyl strap & swivel spring clip. 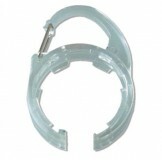 Reel diameter 1-1/4" (32mm). 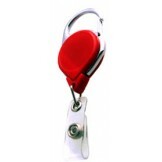 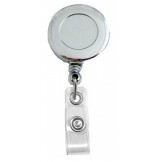 Cor..
Chrome Finish Badge Reel w/belt clip 10 pack Price as low as $2.00 each Cord Length 36" ChRoundB..
Economy Twist Free 10-Pack "Twist Free" Style helps to keep cards facing the front Has 36" Cord ..
Gold Finish Badge Reel w.belt clip 10 pack Price as low as $2.00 each Cord Length 36" .. 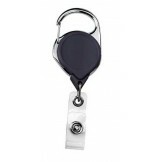 Heavy Duty Badge Reel-Clip On 10 pack Price is for 10 Reels Black/Chrome Heavy Duty w/nylon cord ..
Lanyard Badge Reel no-clip 10 pack ..
Locking Retainer Reel 100-pack This Heavy Duty retainer holds multiple badges, light tools or heavy..
Mini Detachable Badge Reel 50 pack 15/16" Diameter Cord Length 16" Detachable clip for lanyard or..